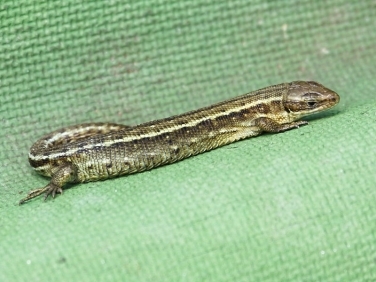 What type of lizards are most common in Cornwall? The Common Lizard, like this one seen at Windmill Farm on the appropriately named Lizard Peninsular last week, are the only lizards likely to be seen in Cornwall. However, we bumped into a chap the other day who said he’d seen a green lizard which he thought was a Sand Lizard. It would be nice to think he was right but although there are attempts to reintroduce the Sand Lizard into Cornwall it seems likely that he saw a very green Common Lizard which can be a variety of shades of brown and green.